Isolation of L．casei strain Shirota which aquired the ability of resistance to bile and acid. 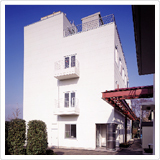 Establishment of Yakult Honsha Co., Ltd. in Tokyo and a research institute in Kyoto. Success in large-scale aphotic cultivation of chlorella. 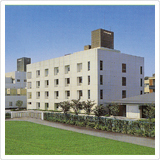 Establishment of a research institute in Kunitachi, Tokyo (the current Yakult Central Institute for Microbiological Research). Development and sale of the lactobacillus-fermented milk “Joie,” a drink-type yoghurt. Development of fermented milk products containing bifidobacteria. Establishment of Chemical and Microbiological Analysis Center at the Yakult Central Institute (Measurement certification business cert number Tokyo,No.520). Development and sale of the bifidobacterium-fermented milk “Mil-Mil” a drink-type yoghurt. Discovery of the antitumor effects of L. casei strain Shirota. Successful reduction in toxicity of the antitumor agent Camptothecin. Development of galactooligosaccharides which promote bifidobacteria growth. Identification of the skin moisture retaining and antioxidant components in “Fermented Lactic Acid Bacteria Extract,” a culture filtrate of lactic acid bacteria. Successful production of thrombolytic agent staphylokinase using genetic manipulation techniques. Development of shuttle vector capable of replication in both Escherichia coli and Bacillus subtilis. Demonstration of therapeutic effects of bifidobacteria in intractable diarrhea. First discovery of transposable DNA elements in lactobacilli. 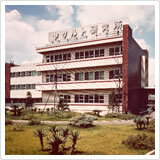 Addition of new research wing (current South Wing) and safety testing research facilities to Yakult Central Institute. Successful cell fusion of lactobacilli. Development of techniques for microbial production of hyaluronic acid. Discovery of vasodepressive substances in cellular constituents of lactobacilli. Development of shuttle vector capable of replication among lactobacilli, Escherichia coli and Bacillus subtilis. Discovery of IgA antibody production enhancement by bifidobacteria. Successful cloning of β-galactosidase gene of bifidobacteria. Discovery of preventive and curative substances for gastric ulcers in the cellular constituents of bifidobacteria. 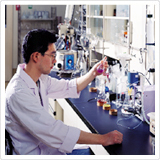 Development of “Lamellar Particles” a moisture retaining ingredient for cosmetics. Development of a simple method for identifying bifidobacteria using a probe method. 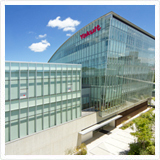 Addition of Intestinal Microflora Research Wing and The Library and Welfare Building to Yakult Central Institute. Demonstration of a recurrence prevention effect in urinary bladder cancer patients through the long-term administration of L. casei strain Shirota. Successful conversion of function of protease through protein engineering. Demonstration of the effect of the oral administration of L. casei strain Shirota on the prevention of the recurrence of experimental tumors. Demonstration of the growth promoting effect of the administration of bifidobacteria on low birth weight infant. “Campto Injection,” an anticancer agent, is approved in Japan for manufacture as a medicine for treating four cancer regions, including non-small-cell lung cancer. The drug is introduced commercially. Discovery of intestinal bacteria related to induction of intestinal immunity. “Campto Injection,” an anticancer agent, is approved in France for manufacture as a medicine for treating progressive and recurrent colon cancers that have been diagnosed as intractable. The drug is introduced commercially in France. In Japan, Campto's additional efficacy is approved for five cancer regions, including colon and rectal cancer. Development of the Immunolatex “Kenshutsukun” kit for detecting nitrifying bacteria in active sludge. “Campto Injection,” an anticancer agent, is approved in the United States for manufacture as a medicine for treating progressive and recurrent colon cancers that have been diagnosed as intractable. The drug is introduced commercially. Discovery of the suppressing effects of L. casei strain Shirota and B. breve strain Yakult on the growth of Enterohemorrhagic E. coli O157. Demonstration of the effect of “Bansoreicha” for inhibiting the rise of blood sugar level following meal intake. Discovery of the effects achieved through the oral administration of L. casei strain Shirota to enhance cellular immunity in mice and retard the onset of cancer caused by a chemical carcinogen. Verification of the contribution of the habitual intake of "Yakult" to the reduced risk of urinary bladder cancer. Development of an analysis method for intestinal microflora without cultivation using PCR. Demonstration of the effect of the intake of the bifidobacterium-fermented milk on the prevention of the recurrence of ulcerative colitis. Demonstration of the effect of the intake of “Yakult 400” on maintaining immune function (NK cell activity). Development of a mouse model for spontaneous colon cancer and verification of the involvement of intestinal microflora in colon carcinogenesis. 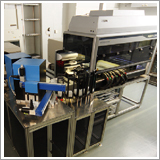 Development of "an automatic intestinal microflora analysis system" without the need for culture using DNA primer. Verification of the action of bifidobacterium-fermented soy milk on the promotion of the production of hyaluronic acid in skin. Clarification by clinical trials of the effect of the continuous intake of L. casei strain Shirota on the reduction of colon cancer risk. Decoding of the entire base sequence of the L. casei strain Shirota and B. breve strain Yakult genomes. Production of monoclonal antibody for the detection of transglutaminase in human skin and its application to assess skin physiology. Demonstration of the effect of tea containing fucoidan on the improvement of non‐ulcer dyspepsia and the reduction of Helicobacter pylori. Demonstration of the effects the intake of "Yakult 400" has on maintaining immune function (NK cell activity) in smokers with reduced NK cell activity. Demonstration of the blood‐pressure‐improving effect of “Pretio,” a fermented milk drink containing γ-aminobutyric acid (GABA). Demonstration of the improvement of the enteral environment and the preventive effect of postoperative septic complications through administration of synbiotics("BL Seichoyaku" + "Oligomate HP") to postoperative patients with biliary cancer. Demonstration of preoperatively drinking “Yakult 400”, a bifidobacterium-fermented milk containing galactooligosaccharides, and “Origomate HP” in enhancing the immune function before and after surgery for biliary cancer, and further enhancing the improvement of the enteral environment and the preventive effect of infectious complications through postoperative synbiotics therapy. Verification of the therapeutic effect of a bifidobacterium-fermented milk on patients in the active phase of ulcerative colitis. Development of immunolatex “Supirakun,” a kit for detecting nitrifying bacteria. 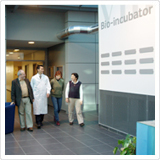 Yakult Honsha European Research Center for Microbiology, ESV is established in Belgium. Decoding of the entire base sequence of the B. bifidum strain Yakult genome. Demonstration of the beneficial effect on liver function of 100% Ayamurasaki sweet potato juice “Ayamurasaki” in healthy persons with an exacerbated liver function marker. Demonstration on healthy people of the suppressive effect on the activity of Helicobacter pylori and gastric mucosal inflammation, and the improvement of indefinite stomach complaints through fermented milk using the B. bifidum strain BF-1. 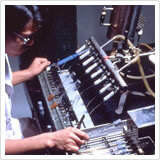 Completion of the state-of-the-art intestinal microflora analysis system, "YIF-SCAN®: Yakult Intestinal Flora SCAN," capable of determining the quantity of intestinal bacteria with dramatically higher detection sensitivity through the addition of the RNA as well as the DNA of intestinal bacteria to the analysis object. Demonstration of an improvement effect in the intestinal environment and a preventive effect against infectious complications through administration of synbiotic therapy ("BL Seichoyaku" + "Oligomate HP") to patients with systemic inflammatory response syndrome (SIRS). Demonstration of an improvement effect on lipid metabolism that results from the continuous intake of "Bansoreicha" in healthy subjects with high total serum cholesterol (> 220 mg/dl). Verification of the possibility that the intake of "Yakult 400" may improve symptoms of ulcerative colitis in a pilot study. Clarification of the function of the cell-wall architecture of L. casei strain Shirota to stimulate macrophages effectively and to strongly induce production of IL-12 (interleukin-12), which increases immune function (NK cell activity). 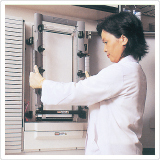 Clarification of the process of bifidobacterial microflora formation in infants using "YIF- SCAN®". Successful culturing of 4 new species of human intestinal bacteria including a succinic acid-assimilating bacterium and their registration with an international organization. Demonstration of the effect the intake of B. breve strain Yakult has on improving symptoms in patients with irritable bowel syndrome. Construction of the Food Research Building at the Yakult Central Institute for Microbiological Research. Demonstration of the induction of Th17 cells by gut-residing segmented filamentous bacteria in mice. Formal adoption of Yakult's TOS propionate agar medium supplemented with the antibiotic mupirocin as a medium for enumerating bifidobacteria. Demonstration of the ability to use "YIF-SCAN®" to perform high-speed, high-sensitivity measurements of bacteria in the blood for clinical diagnoses. Demonstration of the preventative effect of the intake of "Yakult" on acute diarrhea in children, in Kolkata, India. Demonstration of the effect of the continuous intake of "Yakult" on the reduction of the incidence of upper respiratory tract infections in athletes in Loughborough, UK. Demonstration of the effect of the continuous intake of "Yakult 400" on relieving fever associated with infectious gastroenteritis caused by norovirus in elderly people living in nursing homes. Demonstration of the effect of the continuous intake of B. breve strain Yakult fermented milk containing galactooligosaccharides on preventing seasonal skin dry through normalizing the corneocytes in healthy women. Demonstration of the effect of administering B. breve strain Yakult to immunocompromised children undergoing chemotherapy for treatment of malignant tumors on improving the intestinal environment and reducing the frequency of fever associated with infections. Verification of the activity of indigenous Clostridium present in the gastrointestinal tract in promoting the proliferation of regulatory T-cells in mice. Finding of an equol-producing intestinal bacterium that is expected to have a prostatic cancer prevention effect; determination of the bacterial detection rate in Japanese adults; and clarification of enzymes involved in equol production. The world's first demonstration that bifidobacteria in neonates are transmitted from bifidobacteria found in the intestine of the mother during pregnancy. Demonstration of the efficacy of synbiotics ("BL Seichoyaku" + "Oligomate S-HP") to ameliorate a reduction in intestinal function and to suppress the development of infectious complications in patients who underwent cirrhotic liver resection. Demonstration of the effectiveness of synbiotic therapy ("BL Seichoyaku" + "Oligomate S-HP") for reducing Pseudomonas aeruginosa, which causes nosocomial infections, including pneumonia, in patients on long-term ventilation. Development of a highly sensitive and accurate method of quantifying, a bacterium that causes antibiotic-associated diarrhea, using "YIF-SCAN®," and verification of the same bacterial residence in the intestine in healthy adults. Clarification that gut-residing bifidobacteria and lactobacilli in infants are from the maternal intestine and birth canal, and not from breast milk. Demonstration of the effectiveness of intake of "Yakult" for delivering L. casei strain Shirota alive to the gut in healthy Thai adults who have different lifestyles from the Japanese. Verification of the influence that mode of delivery, nutrition, and other factors have on bifidobacteria-dominant microbiota formation in infants. Demonstration of the effect of habitual intake of L. casei strain Shirota on reducing the risk of breast cancer in an epidemiological study. Demonstration of the usefulness of "Yakult 400" intake for improving abnormal bowel movements, a post-gastrectomy sequela. Demonstration of the effect of "Yakult 400" intake on improving liver function in patients with alcoholic cirrhosis. Clarification of the influence of mode of delivery on the colonization of bifidobacteria in the intestines of neonates. Clarification of the influence of short-chain fatty acids, metabolites of L. casei strain Shirota and B. breve strain Yakult, on the growth of intestinal epithelial cells. Confirmation of dysbiosis in Japanese patients with type 2 diabetes, and verification of the possibility that improvement of the intestinal environment may be useful in the treatment of the disease. Demonstration that the intestinal environments of Yakult Ladies, who regularly consume Yakult's probiotics, are healthy using YIF-SCAN®. Demonstration of the effect of the intake of "Yakult" on relieving constipation-related symptoms and haemorrhoids in women during puerperium. Demonstration of the usefulness of the intake of citrus juice fermented with Lactobacillus plantarumYIT 0132 on alleviating allergy symptoms caused by Japanese cedar pollinosis and improving quality of life. Confirmation of the effects of the intake of "BF-1" on the improvement of gastrointestinal and psychological symptoms in patients with functional gastrointestinal disorders, and improvement of stomach discomfort in adults. Clarification of the inductive mechanism of Th17 immunocytes by intestinal bacteria and identification of 20 types of human intestinal bacteria involved in this induction. Confirmation of the usefulness of the intake of citrus juice fermented with Lactobacillus plantarum YIT 0132 on allevating symptoms in patients with atopic dermatitis and improving their quality of life as well as improving the immune index involved in allergic diseases. Confirmation of the possibility that the continuous intake of "Yakult 400" may be useful in maintaining and promoting the health of healthy children by improving their intestinal environment and reducing harmful bacteria and opportunistic bacteria.